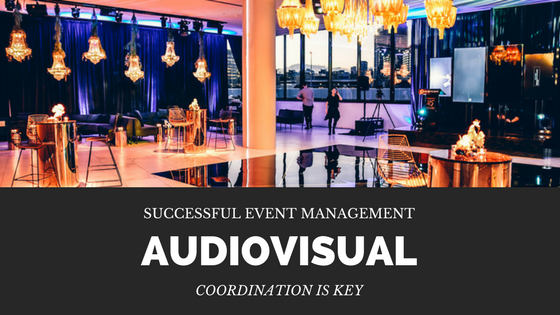 When it comes to successful event management, audiovisual coordination is key. You’ll have to make sure the invitations are sent out and replies come back before you can contact the caterer. Then you’ll need to ensure the caterer delivers the right food at the correct time so that your guests are fed. If you’re hiring some sort of entertainment, this will also require a lot of planning. Not only will you have to make sure the entertainers are available when and where you want them, but you’ll also have to decide at what point in the evening they should perform. And, in addition to hiring everything you need to keep your guests fed and entertained, you’ll also need to make sure your decorations are coordinated. Nobody wants their drapes to clash with their event lighting, or their centrepieces to be larger than the tables they’re supposed to be sitting on. Coordination is tough, but luckily it’s what we do best at that Pro Light & Sound. Because we have such a wide variety of audiovisual equipment, you won’t need to visit multiple audiovisual consultants and risk hiring items that don’t complement each other, either in the way they look or how they function. On top of this, we can help coordinate the visual services with audio systems to create the ultimate synchronised event. We can set up an operator program that allows you to have different lighting “scenes”, designed to activate at certain times, or when certain music is playing. We can integrate with your event run sheet and match your lighting and audio services to your exact specifications. Our event light options come in a fantastic range of colours and styles, so finding something to suit your colour scheme or venue will not be a problem. And, we can help you create a personalised pattern that you can project on the walls, floor and ceiling to really “WOW” your guests and make your event a unique occasion. We are here to help you with all of your coordination needs – so contact us today!